Good To Begin Well, Better To End Well: Elsker is Here! I've talked a little bit about S.T. 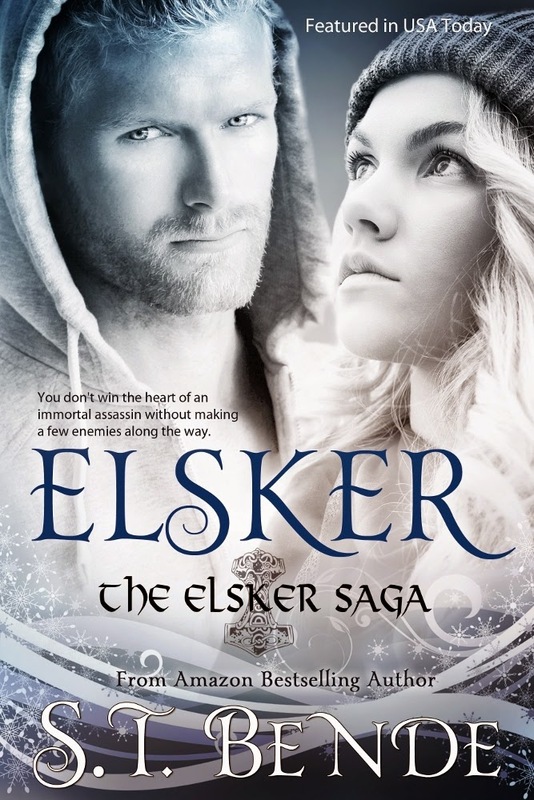 Bende's ELSKER SAGA before, on the blog -- and for lovers of sweet paranormal romance with a hefty dose of Norse Myth, it's a can't miss! (There's even some Thor!) And as a fellow Norse-Myth-Lovin' Author, I am compelled to bring it to your attention for the greater good (which is of course the Norse-love-ification of the world) -- so, how about some excerpt action? And a book trailer? and... well, you'll see. And don't forget to party with us at the Facebook Elsker Book Birthday Bash, tomorrow night, where I'll be giving away some Fate of the Gods and Orc Saga e-books along with a bunch of other rockin' authors! The covers are really cool. Congratulations to ST.
She totally deserves all the best on this re-release, no question!